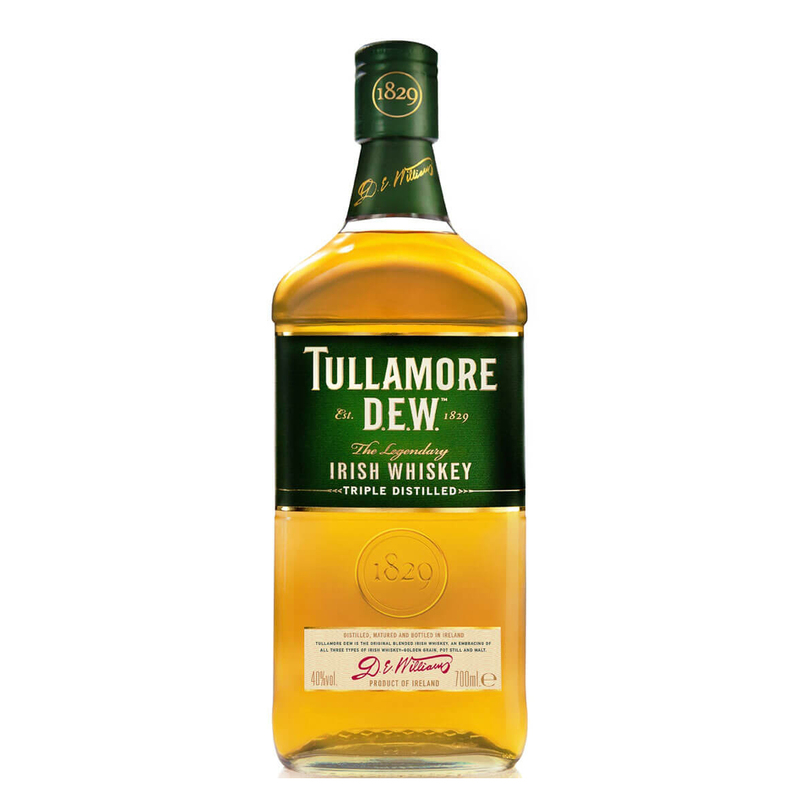 Tullamore Dew Blended Whiskey 70cl referrs to itself as the legendary Irish whisky, Triple distilled and patiently aged in a combination of ex-bourbon and sherry casks, this original blended Irish whiskey is known the world over for its smooth and gentle complexity. The early floral yet biscuit flavour reflects the grain whiskey, while the soft spicy notes can be attributed to the pot still whiskey in the blend. The citrus flavour is complemented by the malt. On the nose, a mild blend of spicy, lemony and malty notes, with charred wood and vanilla undertones. Light bodied, sweetish spices, buttery and rounded with light citrus fruitiness.